This American Express sign is all white text on a blue background. There is a small white boarder on the sign. 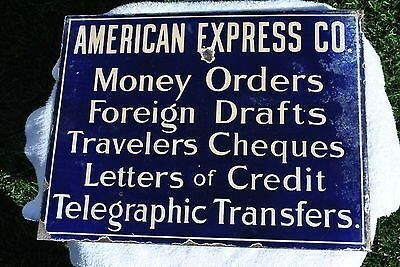 The text reads “American Express Co Money Orders Foreign Drafts Travelers Cheques Letters of Credit Telegraph Transfers.